Super flexible and half as thin as nail polish strips, the decals strongly adhere to acrylics, gels, gel-polish, and even natural nails. Designed for unlimited creativity, Empower Nail Art Films can be used to easily execute any nail art look. Super flexible and half as thin as nail polish strips, the decals strongly adhere to acrylics, gels, gel-polish, and even natural nails. Formulated to work with or without top coats, the nail art films can be layered, used for encasements, and to create accent nails. 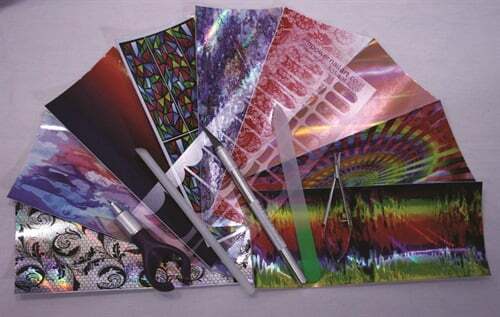 Available in designs like a gentle fade, metallic, abstract, and clear, the films also come in many shapes and sizes. Here’s how to apply Empower Nail Art Films to create a two-toned look. 1. Prep the nail. Using the nail template, choose the size and shape that best fits the nail. 2. Place the nail template on the film and trace the inside of the nail size you selected with a cutting tool. 3. Lift the film from the backing. 4. Place the film on the nail. 5. Smooth the film with your thumbs or an orangewood stick, ensuring any bumps or wrinkles are smoothed out. 6. File off any excess film with a crystal file and clean up the edges. Wipe the film with isopropyl alcohol. 7. 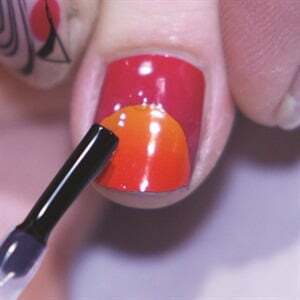 Cut custom shapes from a different colored film and place on the nail. Smooth it out and file off the excess film. 8. Wipe the nail with isoprophyl alcohol. 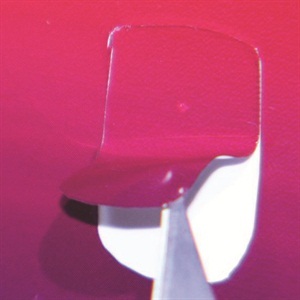 Apply a coat of your favorite gel or gel-polish top coat to seal the edges of the film and cure for the manufacturer’s suggested time.